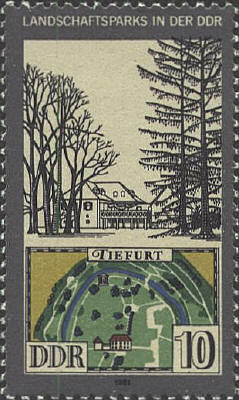 The first landscape park in Germany was created in the 1770's in the village of Worlitz 15 km east of Dessau. It was inspired by Prince Leopold III Friedrich Franz von Anhalt-Dessau’s (1740-1817) visits to English garden parks. Tiefurt Park is around the Tiefurt castle in Weimar. Sculptures and a sundial are features of the park. In 1814 Prince Karl August von Hardenberg became lord of the Quilitz. 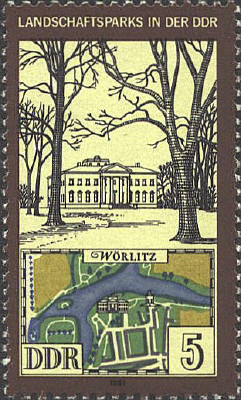 In 1821 the park was redesigned and expanded. 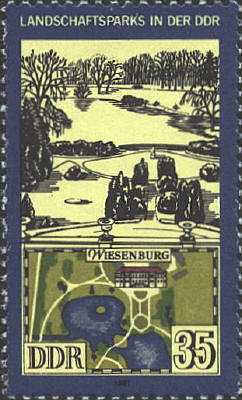 The plans for the park developed by the garden architect Peter Joseph Lenné were influenced by Prince Hermann von Pückler-Muskau, a son-in-law of Hardenberg's who began the Branitz Park in 1811. 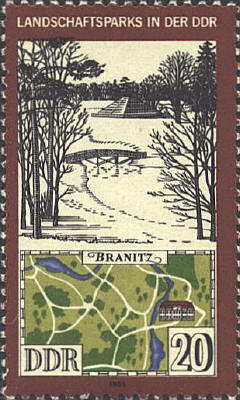 Branitz was founded in 1696 on the land of the counts of Pückler. Prince Hermann von Pückler-Muskau (1785-1871) began work on the park in 1811. It was completed by his successor, Count Heinrich von Pückler (1835-97). It is a landscape park of international importance. In the center of the park is the Castle built in 1770-1772, which accomodates the Fürst-Pückler museum with historical buildings and an exhibition of the life and work of the Prince. 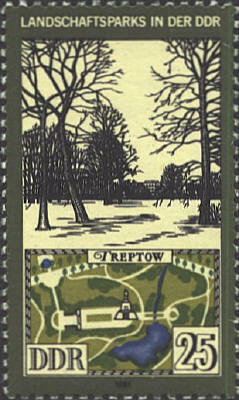 Treptow Park is in what was formerly East Berlin. It was begun in 1876, the work of Johann Gustav Meyer. At the Archenhold observatory (1909) Albert Einstein gave his first lecure on the theory of relativity in 1915. 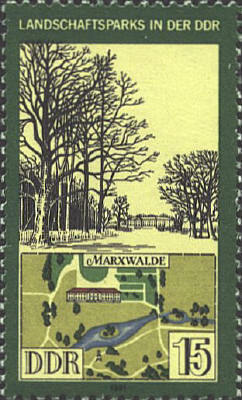 The Wiesenburg Park was developed in 1863-1881 in the English landscape park style.